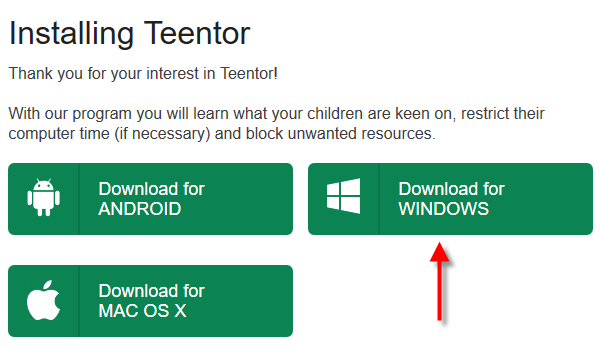 The Teentor family safety system is available for computers running Microsoft Windows and Mac OS, and for smartphones / tablets running Android. These are different applications, so their features are also slightly different. 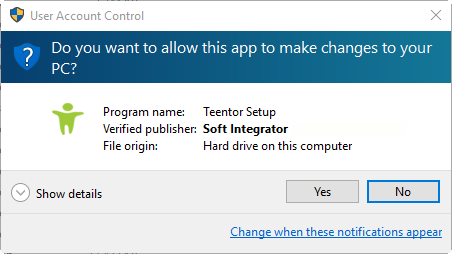 For the sake of example we will install Teentor on a computer running Microsoft Windows 10. Installation on other versions of Windows looks the same. 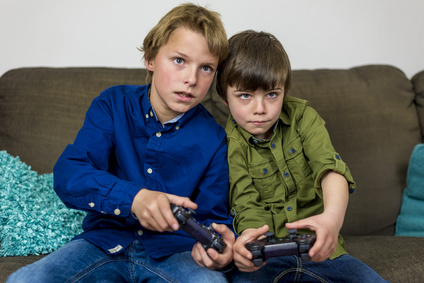 Below we consider the situation when you have a teentor.com account. If you haven't created any account yet, please do so on this page. 3. Run the downloaded file. Please do not rename the file, as this will result in losing connection to your account. 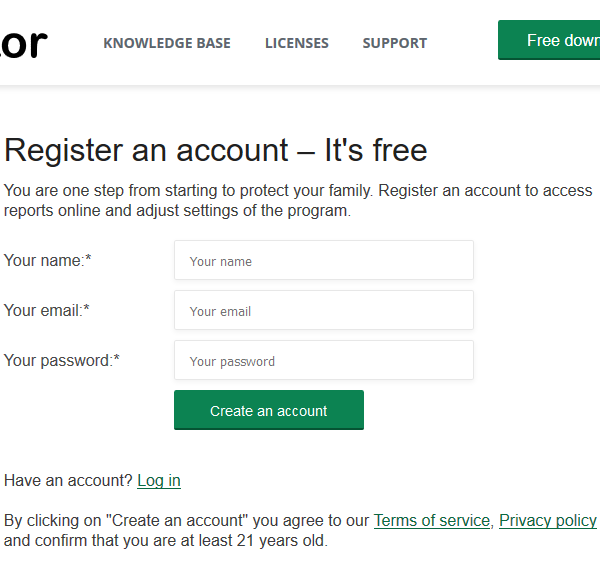 Go to the login page and enter your teentor.com login and password. 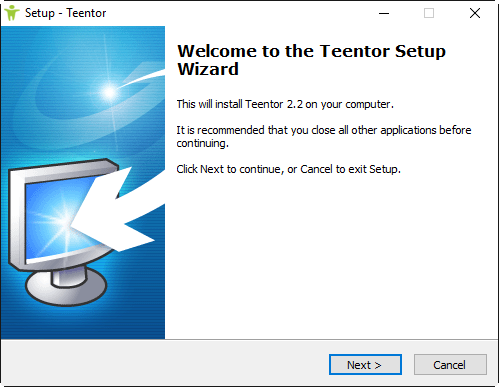 Teentor for Windows has been successfully installed. All user accounts from this computer will be sent to your Teentor account. 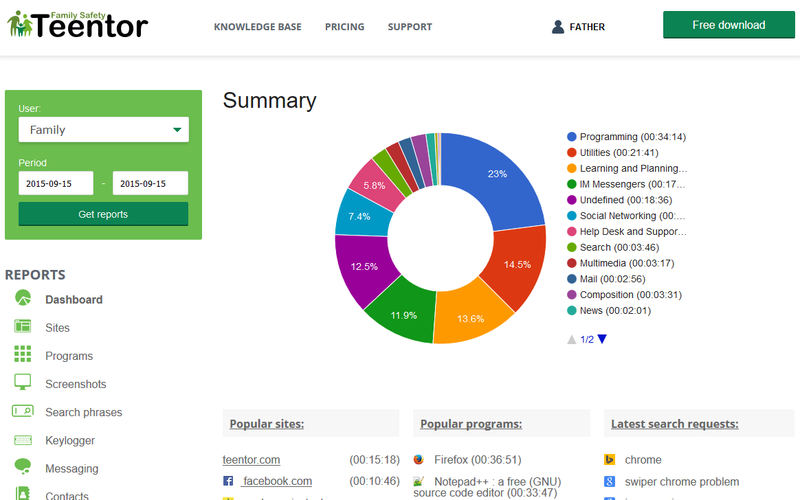 You can now view reports for each user account and adjust settings as necessary. No physical access to the computer is required! Important! 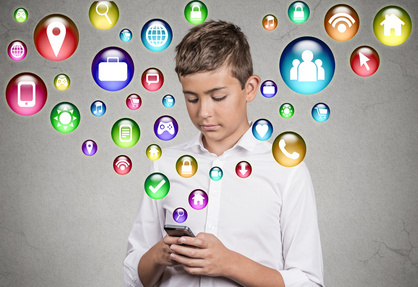 Do not save your parental login and password in the browser, if you are using the computer or user account of your child.